In BioBag Ireland & UK, we say our bags are ‘compostable’ not just ‘biodegradable’. This means that our bags break down into water, oxygen and organic matter when they are composted. Composting is the process of decomposing. BioBag bags (containing organic waste) undergo this process when either they are sent to an industrial facility from your Brown/Organic Bin (faster process) or when they are put into a home composter (slightly slower but just as effective). We make this distinction because a lot of bags available in Ireland, and beyond, are marked as biodegradable but are not compostable; instead, they are ‘oxo-degradable’. These oxo-degradable plastics are often made from conventional oil-based plastics, with added chemicals. This means that the bags do break down when exposed to UV light, oxygen and heat. 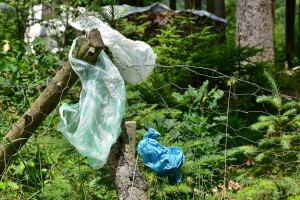 However, these despite appearances, these biodegradable/oxo-degradable plastics leave behind tiny, often microscopic, plastic fragments which contaminate the environment. They are a major factor in marine and waterways pollution for example. These microscopic plastic fragments can also be ‘invisible’; that is airborne or carried on clothes, into sensitive environments where they can contaminate foods, medicines, and other sensitive products. All green bags are not equal, therefore. The BioBag logo is a guarantee that you have chosen sustainable and eco-friendly products, BioBag bags leave no plastic fragments behind them in the environment when composted and have the certifications from the European Standard EN13432, the US Standard ASTM D6400 and the Australian Standard AS 4736 to prove it. We also hold compostable and biodegradable certificates issued by AIB Vincotte (OK Compost), DIN Certco, BPI (USA) as well as the GMO-free certificate. BioBag customers can be confident that they are using the best environmentally sound products of the highest quality. We run a large ethical social enterprise supermarket in Glasgow and are interested in potentially stocking your items. Can you send me through a price list? We also run a veg box scheme and are constantly looking for ways to keep our salads and delicate greens fresh that isn’t plastic – your glass clear bags look like just the thing! Just to confirm they can be composted at home yes? Do you have a supplier in Scotland yet?